The Al-Sailiya Sports Club comes from Qatar, more precisely from Doha and they are a professional football team which plays in the Qatar Stars League. The Qatar Stars League is in Qatar what the Premier League is England, namely, the highest national football league. The club goes back to 1995 when it was founded under the name Al Qadsiya, and only in 2003, did the club changed its name to Al Sailiya. The club struggled to stay in the Qatar Stars League at few occasions and winded up outside the league two times; in 2006 when they occupied the last position in the League but bounced back in 2007/2008 just to be dropped out of the league again. Only after the League expanded to include 14 clubs, did the team manage to hold a strong ranking in the highest Qatar League. The Al-Sailiya U-19 team proved several times to be the best on the football court by securing sequential victories in 2002/2003 and 2003/2004, whereas the main team got as far as winning the Qatari 2nd Division Cup in 1998, 2005/2006, and 2011. Their other achievements relate to winning promotions which got them back into the Qatar’s A-league back in almost every season. The football team is led by head coach Sami Trabelsi, born in Tunisia. He was a former Tunisian football player who played for the Tunisian national football team back in his days and participated in the 1998 FIFA World Cup. For the most part of his career, he played for the CS Sfaxien, also known as the Juventus of the Arabs. He was also appointed as manager of the Tunisian National Team in 2011, but he soon resigned since the team failed to successfully go through round one at the African National Cup. Since 2013, he has been the coach of Al-Sailiya. Farikh Mussad is the assistant coach and Hicham Jaziri the goalkeeping coach. Dragos Grigore plays the center-back, and he comes from Romania. The 1.50 million worth player was one of Romania’s finest football players who also dominates the courts in his current Al-Sailiya team. At the left wing, another Romanian co-player secures the ball from the enemy. His name is Valentin Lazar, who has just recently joined the team in January 2017. His contract ends in June the same year, and whether the team keeps this hotshot, left wing striker stays in the open until the contract expires. The third outstanding player in the team comes from Uzbekistan T. Abdukholiqov who plays the center-forward position and he also just recently joined the team in January this year. It seems that the team has recently recruited new team members from different countries, perhaps to win the Qatar Stars League finally. The Qatar Stars League was founded in 1963, and it is the highest league in Qatar. The second league in rank is called Qatargas League, and it is very important since each season a club is being relegated to the lower-in-rank league to make room for a new team which wins the promotions during qualification rounds. 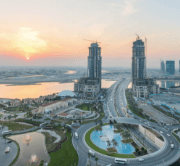 Often this team gets a sponsorhip contract with Indian bookmakers for cricket betting that are looking to popularize cricket in Qatar and expand their markets. This is a great stimulus for the teams to win the second league because sometimes these contracts are litterally for hundreds millions of dollars. The best-known club of this League is Al Saad Sports Club with the most gold medals in the League. The team won the national championship for 12 times, but the last championship belonged to another team which is the current title holder, and they are the Lekhwiya SC. You can always try your luck or skills, or both, when betting online, but before that you need to read some sports betting sites reviews to find the best one for you. The first playoff for the Championship saw the light of the day in 1980. Only one year later, the QFA (Qatar Football Association) introduced the relation-promotion system, classifying five teams into the second division. And again the relegation-promotion system was put to a hold during the 1984/1985 season when the most of the players where playing for the national team which was preparing for qualification games in the FIFA World Cup of 1986. 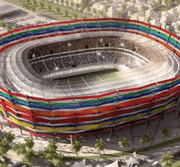 Qatar is in the middle of preparations for the 2022 FIFA World Cup by reconstructing and extending its stadiums (three of its major stadiums) to be the perfect host for the biggest football event on the planet. The Qatar national football team has come a long way since it was established by the Qatar Football Association back in the 1960s. It joined FIFA in 1970. Their first experience with international tournaments was when the Gulf Cup of Nations was established in 1970. 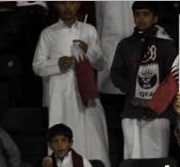 Why The Qatar World Cup Is Going To Be A Disaster?" The world has been upset for the past several years with 2010 news that Qatar is going to host the 2020 FIFA World Cup. Many reasons speak against it, and many wonder how come that Qatar was voted as host country. The Qatar Stars League was founded in 1963, and it is the highest league in Qatar. The second league in rank is called Qatargas League, and it is very important since each season a club is being relegated to the lower-in-rank league to make room for a new team which wins the promotions during qualification rounds. The best-known club of this League is Al Saad Sports Club with the most gold medals in the League. The team won the national championship for 12 times, but the last championship belonged to another team which is the current title holder, and they are the Lekhwiya SC.